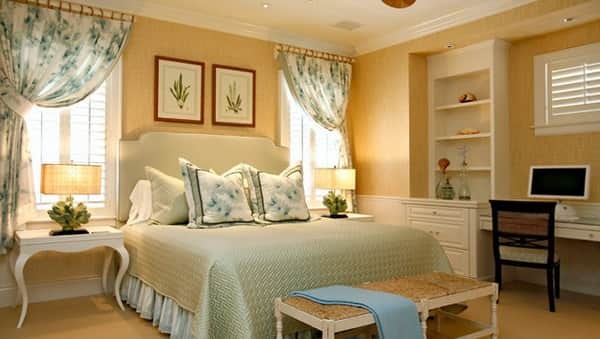 It goes without saying that every home should have a bedroom designed to offer comfort and relaxation. After all, it is the bedroom, and not any other room that offers peace and calm after a long day of work. 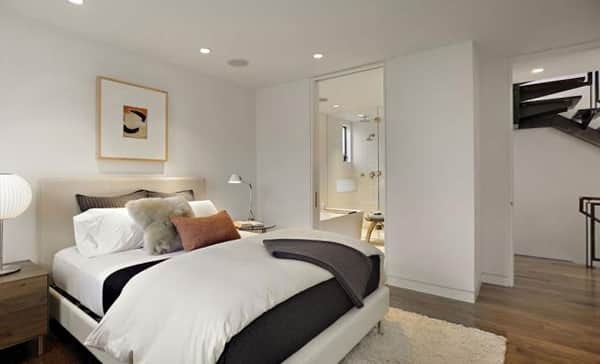 Additionally, the bedroom personifies the owner’s traits and behavior and for these reasons, its style and design can vary considerably from other parts of the interior. This is because often, homeowners design and decorate their bedroom to fit their needs. 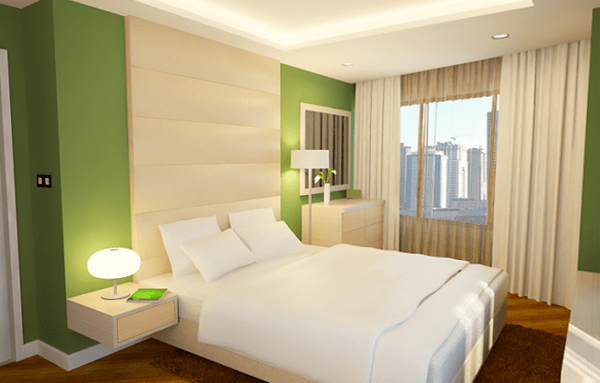 In this article, we will offer you some essential tips and recommendations for designing and decorating your bedroom, as well as show you how to use them in creating a perfect bedroom. 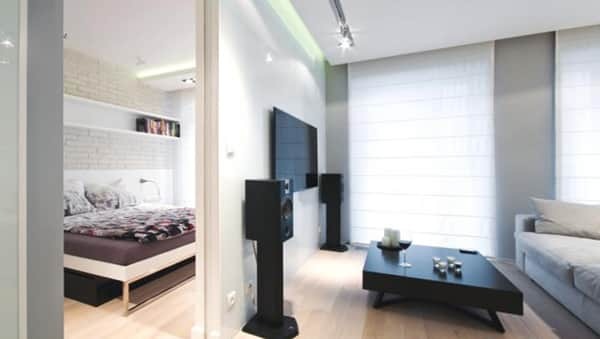 If you have a small apartment, then it is more than likely that you will also have a small bedroom. 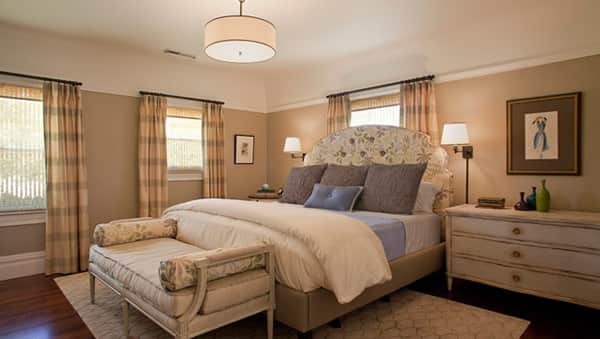 However, having a small and compact bedroom is not cause for alarm, because even if the bedroom is small, there are tricks you can use to make it airy and cozy. Before you start, you need to have an idea of the outcome you are aiming for. This will guide you as you choose the materials and design and décor methods. 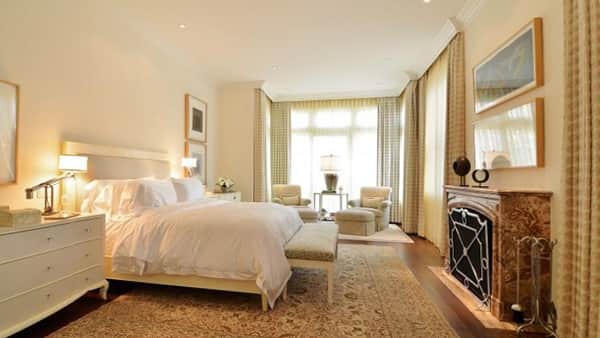 The bedroom, like all other parts of the house, requires an individualistic approach. To select a style that is right for you, it is critical to first think of your desired end result. Another important point to consider is the DIMENSIONS of the room, which can be a limiting factor. 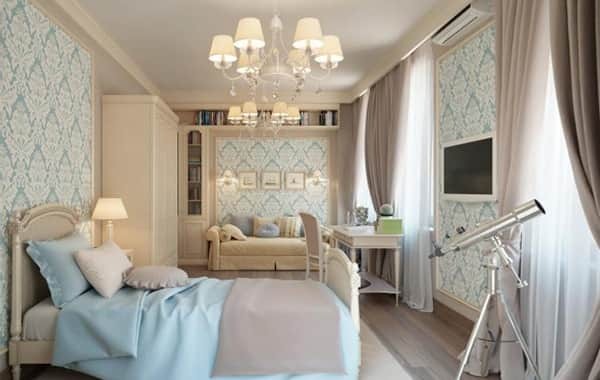 For instance, a bedroom design of 12 square meters, believe it or not, differs significantly with a design with an area of ​​say, 10 square meters. Precision is critical in this case, since every square of your apartment should be accounted for. However, be cautious not to lose your unique style in pursuit of a fashionable trend. 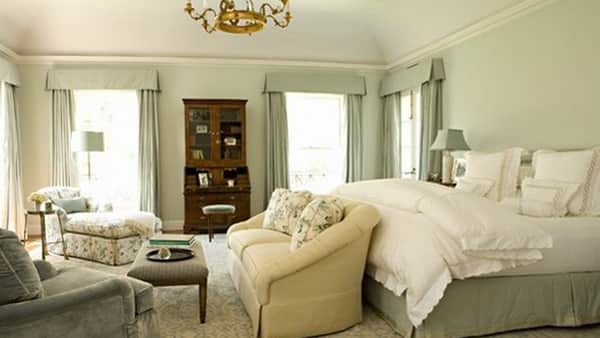 Owners of small bedrooms prefer to decorate their bedrooms using the classical style. This is a smart and safe choice, because the classic style fits most interiors and never goes out of style. In this photo you can see a classic chic design. Even though most interiors today adopt modern styles, the classical style is still a favorite option for many. The highlight of the classic interior is, of course, Art Deco style furniture. Also, it is advisable to choose a huge bed or large chairs with the elements that match those of the painting. Also, a chest of drawers makes a perfect addition to a classic bedroom. In addition, classical stylistics can be emphasized with luxurious curtains, making the bedroom cozier and more stylish. Black furniture is also a great addition to a classic interior. 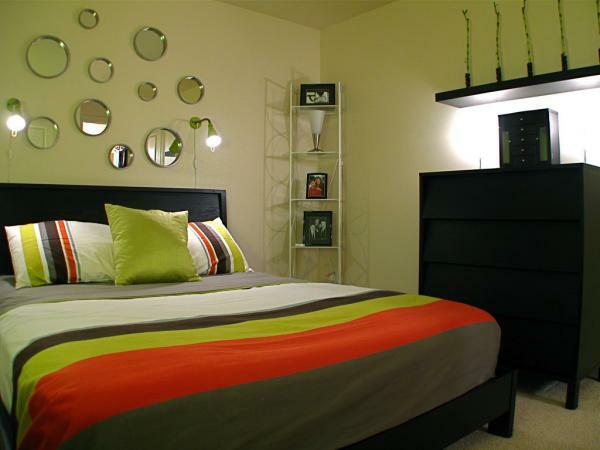 Thus, if you value your space and do not want to clutter up the already small bedroom, then your style is modern. Another type of the modern style is minimalism. 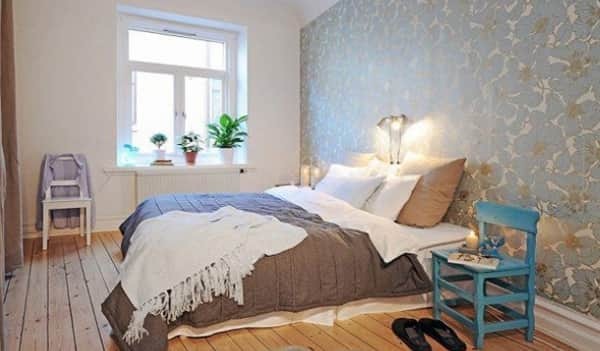 Owners of small bedrooms consider it the greatest find, because the style allows you to focus only on the most important aspects such as the bed. When creating a minimalist bedroom, remember that functional items, combined with a soft and unobtrusive color scheme gives the best overall appearance. Alternatively, you can opt for “eco-minimalism”, which involves the use of natural materials in the interior. This is a good idea especially for lovers of natural décor pieces. 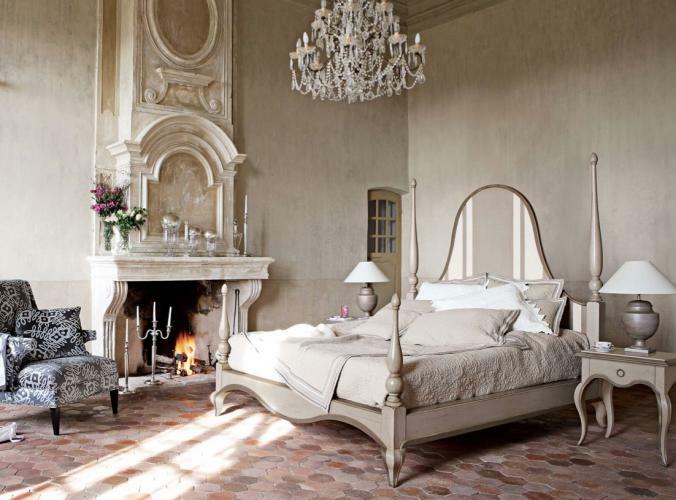 The Provence style is ideal for those seeking comfort and coziness. Thus, if you want to transform your compact sleeping room into the coziest and most comfortable space, then this design is perfect for you. Note: The main idea here is to use bright and juicy colors, combined with vegetative patterns, warm fabrics and lots of details. Thus, you will be able to create an exuberant space that is more than just a simple sleeping room. 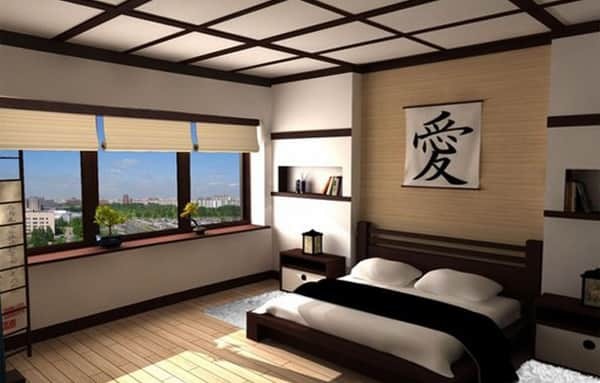 For true connoisseurs of Middle Kingdom culture, there is an ideal solution for decorating a bedroom in the Japanese style . Japanese style has a lot in common with minimalism, as the style also appreciates simplicity and space. The difference between minimalism and Japanese style is that the latter pays more attention to details. The figure of sakura is an integral part of this design. The figure can be placed both on the wall in the form of a separate drawing, and on individual pieces of furniture (cabinet, cabinets and so on). Also, special attention should be given to Japanese-style screens and curtains. All this will allow you to recreate a part of Japan in your bedroom. 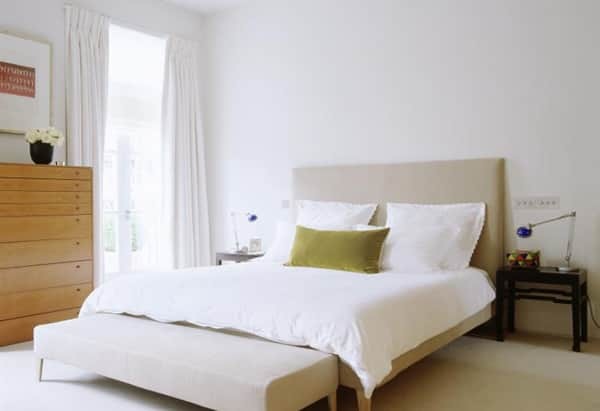 In a small bedroom, it is important to appreciate every little inch of space and choose furniture according to your parameters so as not to clutter the room unnecessarily. 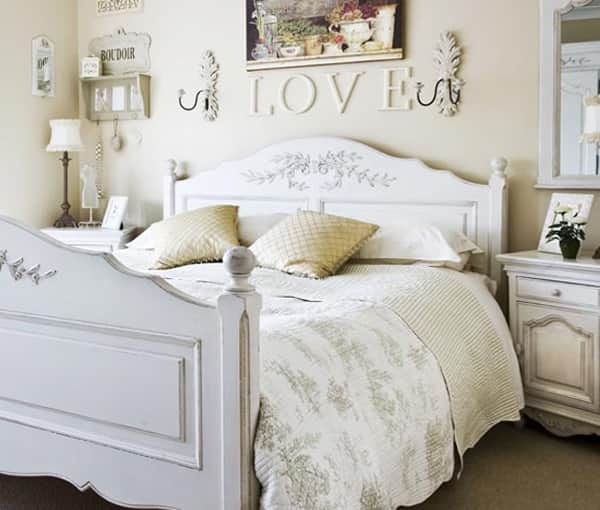 When selecting furniture for a small bedroom, think only of essential and necessary furniture pieces. The main item furniture you need for the bedroom is obviously the bed, whose size will depend on the actual smallness of the room. 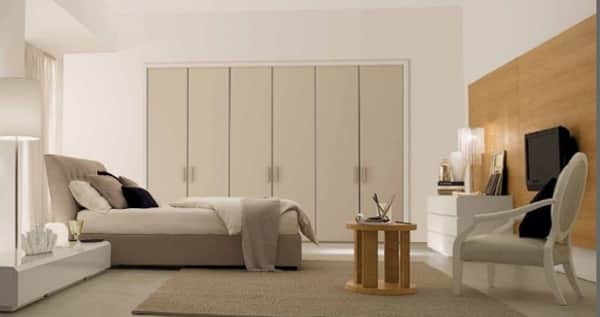 For girls and women in particular, the bedroom can also benefit from a large capacious wardrobe and cabinet with a mirror, the former which serves critical storage functions. Those who work from home using gadgets such as laptops need a desk and a comfortable chair that protects the back. In this case, you can try and find space for these furniture in your bedroom, no matter how small it is. In a small bedroom of about 12 square meters, it is difficult to fit a huge bed. 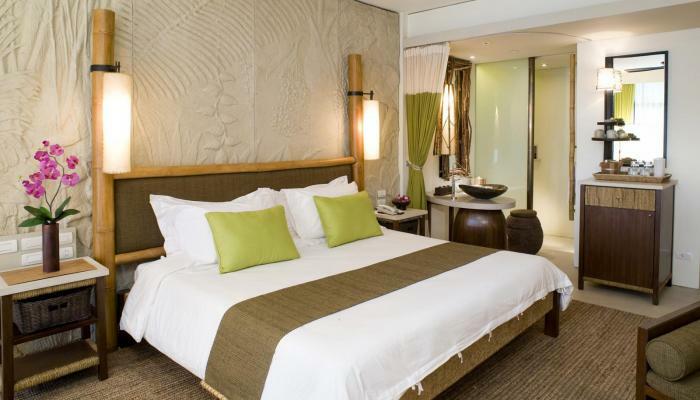 Nevertheless, such a space is enough to accommodate a comfortable yet standard-sized bed. Your personal preferences for a bed, such as the materials and design. 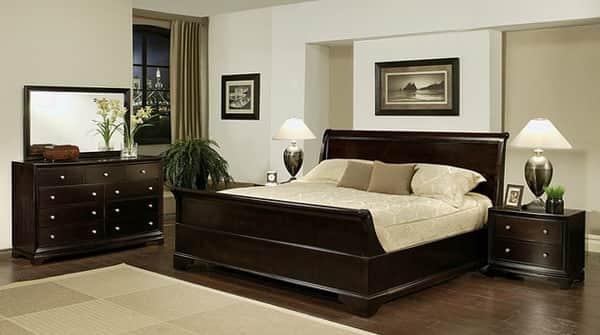 The most solid beds are those made of natural wood. There exists a huge number of beautiful color solutions, but they come at a high cost. Less financially expensive are beds made of particleboard and other artificial materials that mimic a tree. But such furniture has a much shorter life span, so think about the maximum price for a bed you can afford, and buy the best, so you do not have to pay twice. As for the sizes, here the advice is simple, it is better to buy a smaller bed and leave space for some additional interior details, since massive furniture can create a feeling of unwieldiness. For fans of creativity, there are various variations with built-in beds and so-called “loft beds”, whereas under the bottom a work area can be placed. In general, the choice of this piece of furniture is huge, so everyone can choose the perfect option for themselves. When choosing bedroom furniture, remember to consider functionality. The furniture should occupy as little space as possible and contain as much detail as possible. The most suitable design for a compact bedroom is a closet, particularly a built-in one that saves more space. To save on the space occupied by your cabinet, you can select models with mirror doors, which are not only fashionable but also practical. If you are lucky enough to have an apartment layout with its own exit to the balcony, then you are in luck. The balcony makes it possible to add a few more square meters to your small apartment and thus expand the space of the room. 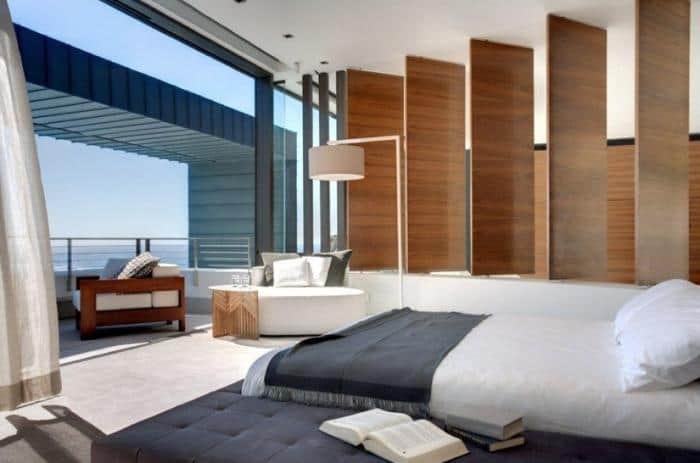 There are many methods of directly separating the balcony area from the bedroom and thereby create a holistic interior that will optimally portray your personality. First of all, the balcony can serve as a separate rest area, where you can arrange a cozy sofa and a small bookshelf. All book lovers like this idea because the balcony will provide a cozy and appealing reading and relaxation area. Another option is to create a work area with a separate desk. The light that comes from the balcony windows will create a good atmosphere for a quality work process. The main point is to correctly arrange all the furniture so that this zone does not resemble an office, but creates a casual and serene mood. The balcony can also serve as an excellent place for your wardrobe, if you do not want to clutter the room with heavy cabinetry. Thus, you will be able to easily distinguish the resting and storage areas. 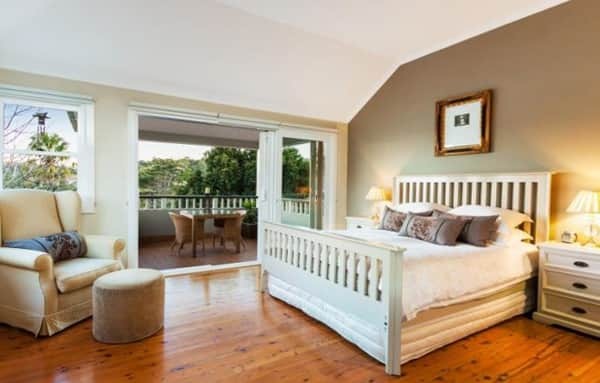 Still, you need to take caution not to depart from the general concept of the design of the room, so that the balcony area is not an entirely separate island, but remains a part of your bedroom. 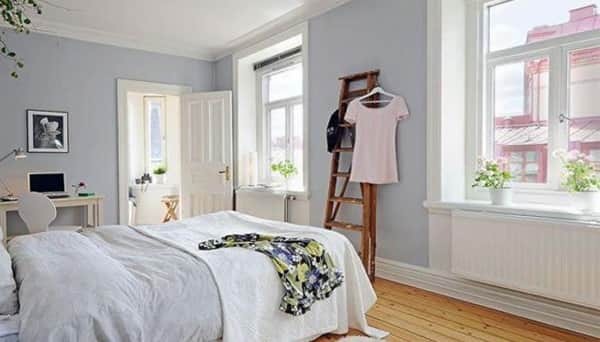 Many owners of small one-bedroom apartments are often forced to combine the bedroom and living room in order to save space, while maintaining the pleasantness of the interior. The answer to this dilemma is the proper delimitation of the space of the merged room. Other people, however, prefer separating the space of the room with the help of plasterboard structures. So you can, with the help of simple and inexpensive means, turn your one-room apartment into a comfortable two-room apartment. Also, you can differentiate the living room using a variety of other solutions, such as using textiles. 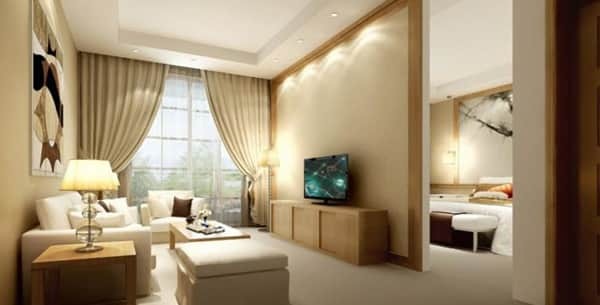 Beautifully selected thick curtains can separate the living room area from a cozy place to sleep. In this case, the bed is better placed directly near the window, which will allow you to get rid of the lighting problems. 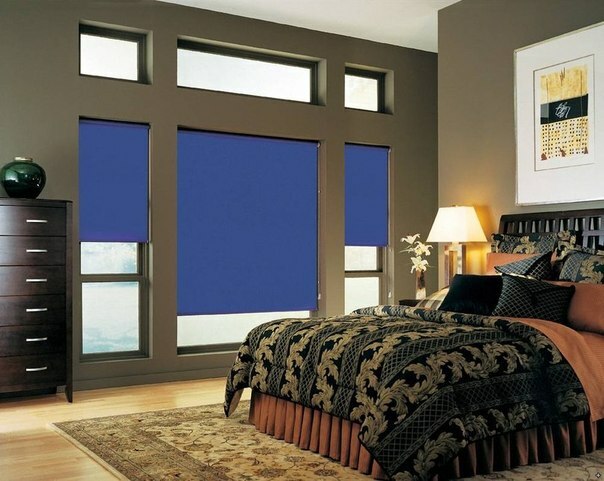 For this version, thick curtains ruin the look, so you can use shutters to keep out the light during the day. Another option is to use beautiful interior partitions, which is a cost-efficient way of separating the bedroom and living room. 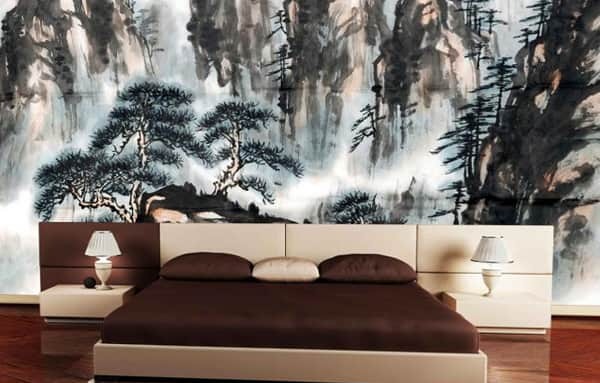 If your bedroom wall will have wallpaper , you should first note that this is quite a practical solution, especially given the huge variety of this type of wall decoration. Paper wallpaper is the least expensive, so it’s great for children’s rooms, especially if your children love to draw on the walls. Vinyl or waterproof wallpaper is more expensive, but, nevertheless, more reliable. 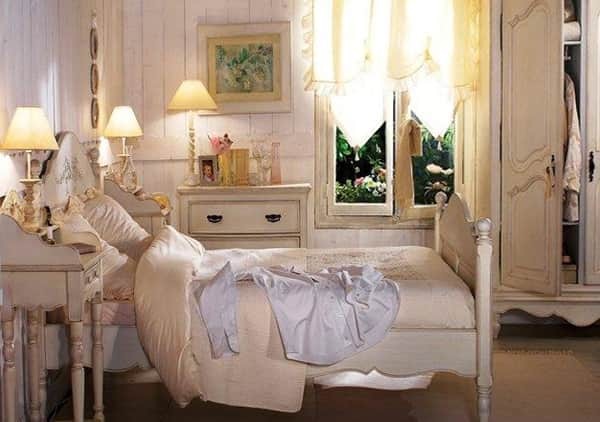 While textile is considered to be the most stylish option for decorating a bedroom, but it is rather whimsical in use: it is badly affected by direct sunlight, which leads to burnout of the picture. Textile wallpaper also strongly attracts dust, so when choosing this option for finishing, get ready for frequent cleaning. The main function of curtains in the bedroom is to protect against excessive sunlight penetration and consequently help you get normal sleep. Therefore, you need to select curtains that can achieve this. You need not worry about the color of the curtains as any can do. 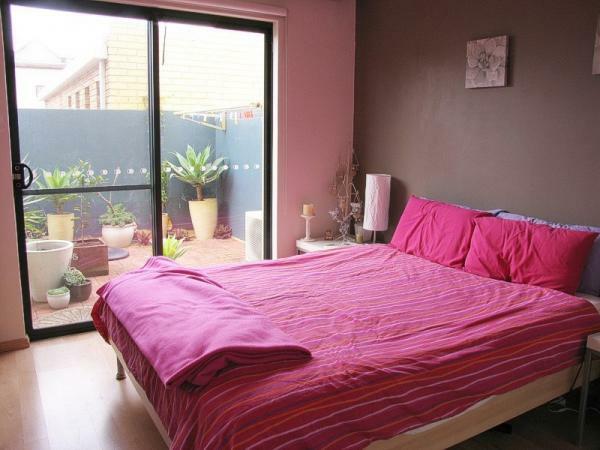 Alternatively, it would be interesting if you choose curtains that create an accent. To achieve this effect, you can paint the entire room in pastel shades and pair this arrangement with brightly-colored curtains, whether green, red, turquoise or any other bright color. For children’s bedrooms, it is better to choose patterned curtains as these quickly attract the attention of children. 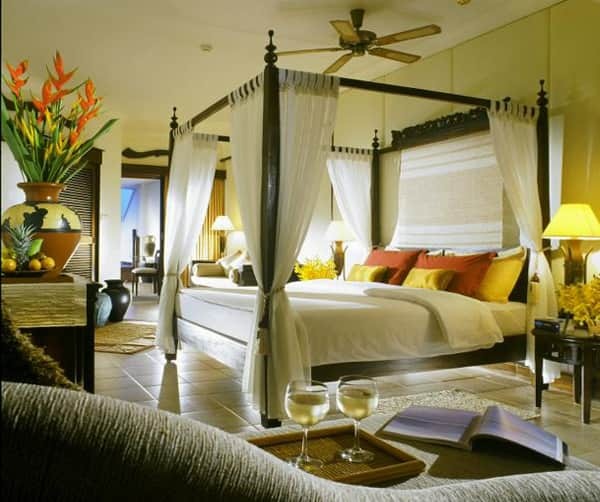 Of course, the overall style of the bedroom interior will depend on the decorative elements used, such as the curtains. The perfect bedroom décor should command attention effortlessly. For the bedroom, it is best to use drapes, soft tissue and tulle. 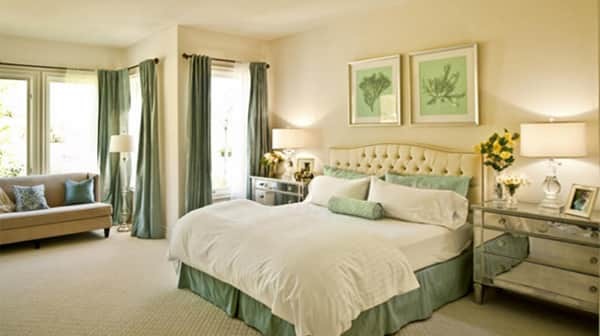 These types of curtains are able to create a sense of peace and quiet necessary for the bedroom. It is better to entirely avoid shutters, as psychologists believe they cause an unhealthy atmosphere when used in the bedroom. 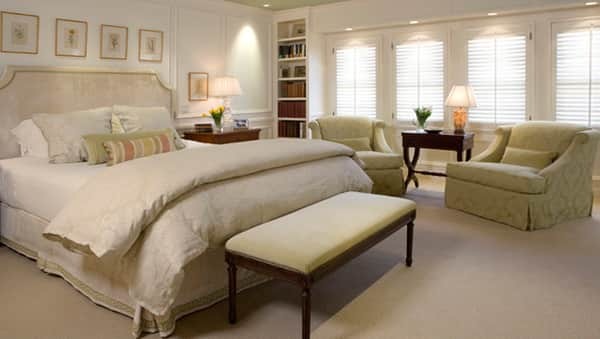 You can additionally think about including a small, stylish floor lamp or a soft chair, which help you achieve a unique and outstanding bedroom. 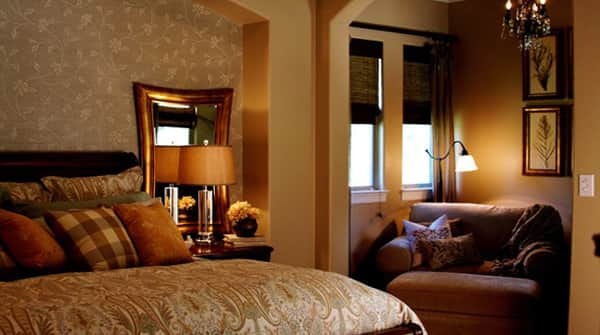 Thanks to the recommendations and advice that we have highlighted above, you will be able to create a cozy and revitalized bedroom effortlessly. When it comes to creating a girls’ bedroom, the first factor you need to pay attention to is the arrangement of furniture. Bedrooms for girls should be divided into several zones. The first is a rest area, which should typically include a bed and sofa or folding chair. Also here you can place a floor lamp or normal lamp if you want to read at leisure. The second zone is a working zone. In the corner of this area you can place a table, on top of which you can put a laptop or computer, chair, and a small bookcase. It is better to separate it from the other zones by a screen, so you can have a quiet and peaceful working environment. Finally, the third zone is a general area in which you can put a dressing table, wardrobe and other general items. In short, it is necessary to create a separate corner for dressing and grooming. 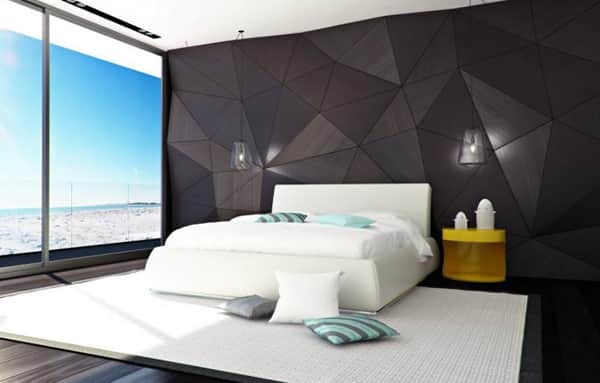 You do not necessarily need a professional to design your bedroom. You can do it yourself, as long as you understand what you want to achieve. The first step is to determine the style you want to use. The second important factor to consider is the size of the room. You need to accurately calculate and plan for the number of square meters available. In accordance with the prevailing style, you should choose matching cabinet furniture, as well as appropriate room lighting. 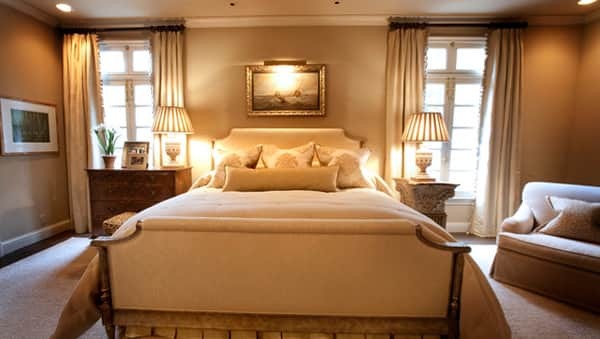 As for lighting, there is one important point to note: If your bedroom has one or more windows, then do not overuse additional lighting, because the natural light sources provide enough light already, and the excess light does not add extra charm to your room. 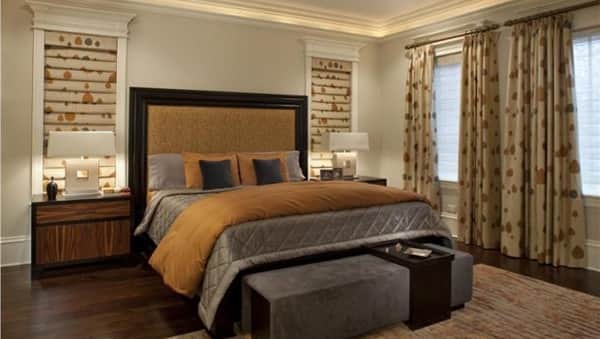 The above points are the main ones that you should pay attention to if you decide to design your bedroom by yourself. To carry out repairs in the bedroom and do so competently, first of all, you need to understand some basic rules and procedures. The first stage: First of all, before starting repair work, you need to plan and create a project for future repairs of various parts and the room as a whole. 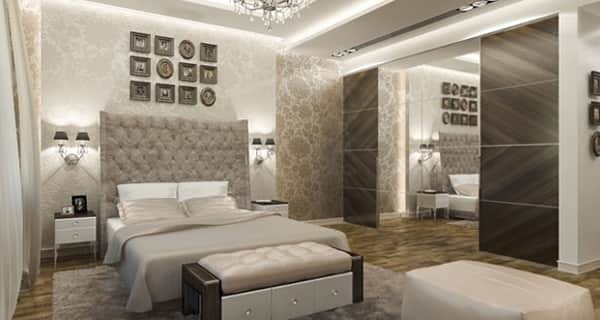 Here you need to decide on the style, material and furniture which will be placed in the room, as well as additional details like accessories. The second stage is the purchase of the materials. Here, quality is important, so that items last long and eliminate the need for further spending on the same item. The third stage is the execution of finishing works. It is better in some cases to use the services of professionals for this stage as it involves critical procedure such as the installation of electrical wiring and complex departmental work. The last stage involves the arrangement of furniture and completion of the interior with the help of additional décor elements. This is the most pleasant stage, after which the renovation of the room is complete. Many psychologists argue that each bedroom has its own “character”, which often depends not only on the color, but also on the type of finishing materials. Therefore, you should make your choice in favor of high-quality noise-insulating materials (for example, you can choose natural wood, cork or veneer fabric). The main rule to consider is that the surfaces should lack shine, so as to make tiring possible. The wallpaper color should always be matte, but you cam additionally consider options that mimic velvet fabric. 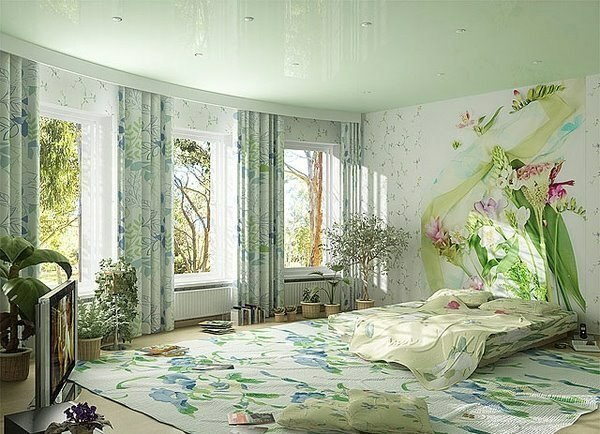 It is best to choose gentle pastel wallpaper tones, for example, beige, blue or dim green tones. These tones usually act on people’s psyche, helping them relax.